Have you ever felt like communication should be far easier than what it looks like ? Bringing ideas to life and efficiency is no heavy task. A clear demand, a partner able to tackle with every step of the project, and a meaningful answer are the key success factors I rely on. 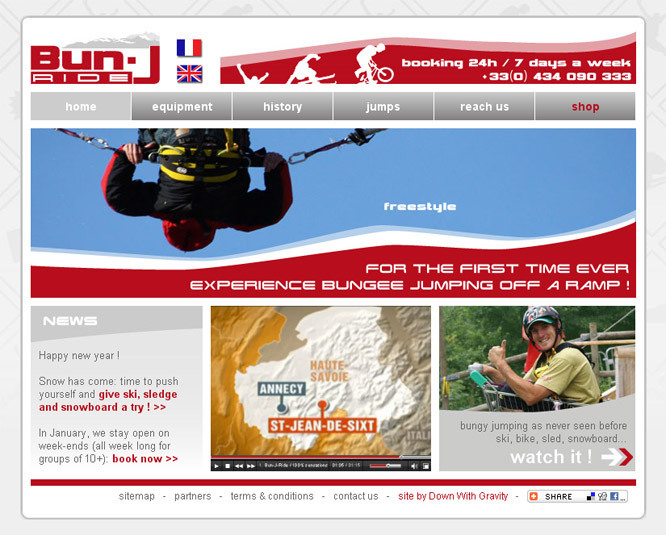 Home page of a newly created company specialized in next generation bungee jumping.